There once was a man who had very bad luck when he hunted. Although the other hunters in his village were always able to bring home deer, this man never succeeded. He was strongest of the men in the village and he knew the forest well, but his luck was never good. Each time he came close to the deer, something bad would happen. A jay would call from the trees and the deer would take flight. He would step on dry leaves and he deer would run before he could shoot. His arrow would glance off a twig and miss the deer. It seemed there was no end to his troubles. Finally the man decided he would go deep into the swamps where there were many deer. He would continue hunting until he either succeeded or lost his own life. The man hunted for three days without success. At noon on the fourth day, he came to a place in the swamp where there had once been a deep pool. The late summer had been a very dry one, however, and now there was only hot sand where once there had been water. There, resting on the sand, was a huge alligator. It had been without water for many days. It was so dry and weak that it was almost dead. Although the hunter's own luck had been bad, he saw that this alligator's luck was even worse. "My brother," said the man. "I pity you." Then the alligator spoke. Its voice was so weak that the man could barely hear it. "Is there water nearby?" said the alligator. "Yes," said the man. "There is a deep pool of clear cool water not far from here. It is just beyond that small stand of trees to the west. There the springs never dry up and the water always runs. If you go to that place, you will survive." "I cannot travel there by myself," said the alligator. "I am too weak. Come close so I can talk to you. I will not harm you." "Help me and I will also help you" said the alligator. The hunter was afraid of the great alligator, but he came a bit closer. As soon as he was close, the alligator spoke again. "I know that you are a hunter but the deer always escape from you. If you help me, I will make you a great hunter. I will give you the power to kill many deer." This sounded good to the hunter, but he still feared the alligator's great jaws. "My brother," the man said, "I believe that you will help me, but you are still an alligator. I will carry you to that place, but you must allow me to bind your legs and bind your jaws so that you can do me no harm." Immediately the alligator rolled over to its back and held up its legs. "Do as you wish," the alligator said. The man bound the alligator's jaws firmly with his sash. He made a bark strap and bound the alligator's legs together. Then, with his great strength, he lifted the big alligator to his shoulders and carried it to the deep cool water where the springs never dried. He placed the alligator on its back close to the water and he untied its feet. He untied the alligator's jaws, but still held those jaws together with one hand. Then he jumped back quickly. The alligator rolled into the pool and dove underwater. It stayed under a long time and then came up. Three more times the alligator dove, staying down longer each time. At last it came to the surface and floated there, looking up at the hunter who was seated high on the bank. "You have done as you said you would," said the alligator. "You have saved me Now I shall help you, also. Listen closely to me now and you will become a great hunter. Go now into the woods with your bow and arrows. Soon you will meet a small doe. That doe has not yet grown large enough to have young ones. Do not kill that deer. Only greet it and then continue on and your power as a hunter will increase. Soon after that you will meet a large doe. That doe has fawns and will continue to have young ones each year. Do not kill that deer. Greet it and continue on and you will be an even greater hunter. Next you will meet a small buck. That buck will father many young ones. Do not kill it. Greet it and continue on and your power as a hunter will become greater still. At last you will meet an old buck, larger than any of the others. Its time on Earth has been useful. Now it is ready to give itself to you. Go close to that deer and shoot it. Then greet it and thank it for giving itself to you. Do this and you will be the greatest of hunters." The hunter did as the alligator said. He went into the forest and met the deer, killing only the old buck. He became the greatest of the hunters in his village. He told this story to his people. Many of them understood the alligator's wisdom and hunted that way. That is why the Choctaw's became great hunters of the deer. As long as they remembered to follow the alligator's teachings, they were never hungry. 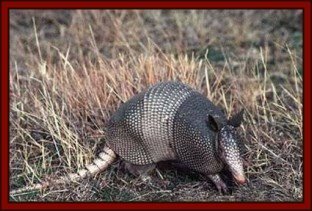 Armadillo with its tough shell and ability to roll up in a little ball teaches us to honor our own boundaries. Boundaries are not meant to keep love out of our lives but rather to protect our gentle and loving nature from the attacks of those who are still motivated by fear. If you know emotionally toxic people don't judge them, but by all means use healthy boundaries. 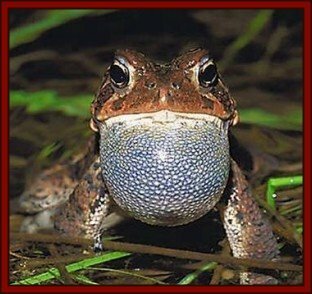 On every warm night of spring, the voices of the Frogs arose in a cheerful chorus. 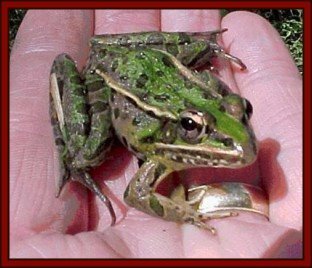 Some voices were low and deep---these were the oldest and wisest of the Frogs; at least, they were old enough to have learned wisdom. Some were high and shrill, and these were the voices of the little Frogs who did not like to be reminded of the days when they had tails and no legs. Just as he had the Frog by one hind leg, the Crane saw something that made him let go, flap his broad wings and fly awkwardly away to the furthest shore. It was a mink, with his slender brown body and wicked eyes, and he had crept very close to the Crane, hoping to seize him at his meal! So the second Frog got away too; but he was so dreadfully frightened that he never spoke again. After a long time the Crane got over his fright and he became very hungry once more. 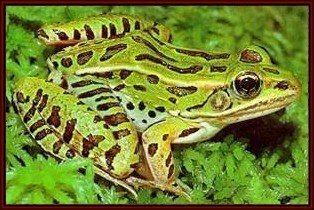 The pond had been still so long that many of the Frogs were singing their pleasant chorus, and above them all there boomed the deep voice of the third and last Bullfrog, saying: "Kerrump! kerrump! I'm chief of this pond!" The Crane stood not far from the boaster, and he determined to silence him once for all. The next time he began to speak, he had barely said "Kerrump!" when the Crane had him by the leg. He croaked and struggled in vain, and in another moment he would have gone down the Crane's long throat. But just then a Fox crept up behind the Crane and seized him! The Crane let go the Frog and was carried off screaming into the woods for the Fox's supper. So the third Frog got away; but he was badly lamed by the Crane's strong bill, and he never dared to open his mouth again. It is not a wise thing to boast too loudly. The frog clan helps us cleanse our minds, bodies, and souls. If one hops into your life, take inventory. Are there ideas, things, or emotions that you need to release in order to move towards your dreams. Frog is not afraid to dive into the emotional waters and cleanse all that is no longer useful. The Texas Horny Toad or Horned Frog is not actually a frog or a toad but rather a lizard. 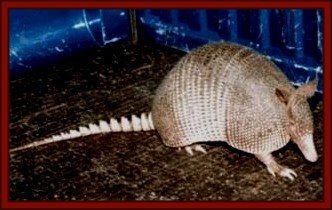 It is one of 7 species of horned lizards that inhabit the United States , and one of three species of horned toad that are known to reside in Texas . 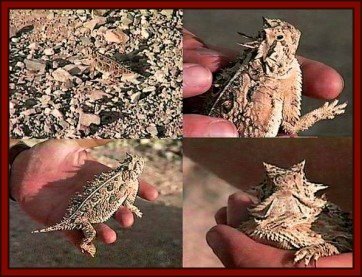 Two of these variants, the mountain short horned and round tailed horned lizards are found only in western portions of the state. The Texas horned toads are the most common species in Texas and have had a range that includes the whole state as well as portions of New Mexico and Oklahoma . Unfortunately, they are now rarely seen in the eastern portion of the state. The horned lizard or horned frog as it is sometimes called has existed for an indeterminate but lengthy period. Its image has been found on pottery shards and petroglyphs that have been dated to more than 4000 years in the past. The horned toad holds a position of honor in many Native American cultures. Known as Che or the grandfather to some cultures, the horned lizard represents permanence, good health, and strength. Named "Ptehe Agleska" in Lakota, the horny toad represents secrecy, mystery and the keeper of valuable secrets. In Navajo lore, the horned lizard frequently appears in teaching legends. The horned toad often opposes the coyote, symbol of trickery, deceit and chaos. Other legends tell of pregnant women rubbing corn pollen on their stomachs and then placing a horny toad on the pollen. This helps insure an easy delivery and healthy baby. 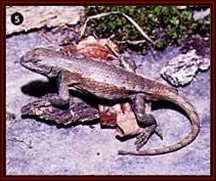 One legend has it that a particular lizard, nicknamed Old Rip, was placed inside a time capsule in 1897 when the corner stone of the new Eastland County courthouse was dedicated. "Old Rip" lived peacefully in this stone until February 28, 1928 when the courthouse was demolished to make way for the new. When officials retrieved objects from the cavity, they reverently handed the flat, dust covered toad to the presiding county judge. He held it up for all to see. Suddenly "Old Rip" twitched. The toad was alive! The crowd cheered and thus "Old Rip" awoke from his 31 year slumber." The audience was ecstatic. Rip, subsequently named for the sleepy Van Winkle, had survived the ordeal unharmed. The horny toad name itself may be the stuff of legend. It has been said that in the 1800’s a proper English visitor to Texas wrote to his newspaper editor friend in New York about having observed a fierce looking many horned toad. As you can guess, the name was quickly shortened and horny toad emerged as a common name. Lizard is the dreamer and reminds us that we must honor our dreams, and our higher visions. He sleeps in the sun and soaks up the light. Sometimes taking time to day dream allows us to reconnect with our soul's light, and refills us for the times when we must stalk our dreams. you will stay around and those who don't will run! 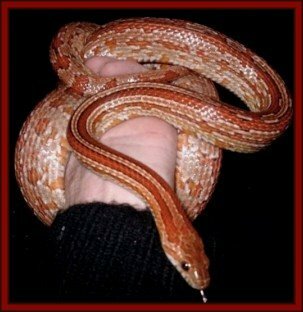 Constrictor but often vibrates tail as ‘bluff’. Hides under logs or stones. 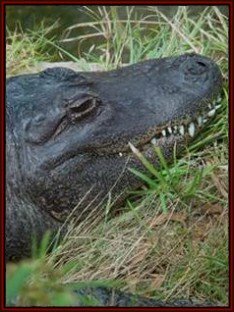 If caught, can be vicious, biting and chewing hard, but after adjusting to captivity, usually becomes quite good-tempered. Because of their snake-eating habits, they are often caged separately in captivity. Sometimes rolls into a ball with its head at the center and averts lining of cloaca as ‘bluff’. Long ago, in that far-off happy time when the world was new, and there were no white people at all, only Indians and animals, there was a snake who was different from other snakes. He had feet-big feet. And the other snakes, because he was different, hated him, and made life wretched for him. "A good long way from here live other ugly creatures with feet like yours. Go and live with them!" And the poor, unhappy Snake had to go away. For days and days, he traveled. The weather grew cold and food became hard to find. At last, exhausted, his feet cut and frostbitten, he lay down on the bank of a river to die. He showed the Snake how to make a shelter for protection from the cold and taught him how to make moccasins of deerskin to protect his feet. And at dawn the Snake continued his journey. The sun was far down the western sky, and it was bitter cold when the Snake made camp the next night. As he gathered boughs for a shelter, Kais-kap the porcupine appeared. Shivering, the Porcupine asked him, "Will you give meshelter in your lodge for the night?" "I am grateful," said Kais-kap, "and perhaps I can do something for you. Those are beautiful moccasins, brother, but they do not match your skin. Takesome of my quills, and make a pattern on them, for good luck." So they worked a pattern on the moccasins with the porcupine quills, and the Snake went on his way again. As the Deer had told him, he met enemies. Three times he was challenged by hostile Indians, and three times he killed his adversary. At last he met an Indian who greeted him in a friendly manner. The Snake had no gifts for this kindly chief, so he gave him the moccasins. And that, so the old Ones say, was how our people first learned to make moccasins of deer skin, and to ornament them with porcupine quills in patterns, like those on the back of a snake. And from that day on the Snake lived in the lodge of the chief, counting his coup of scalps with the warriors by the Council fire and, for a long time, was happy. Now, in the tribe, there was a very highly skilled Medicine Man. Mo'ki-yawasan old man, so old that he had seen and known, and understood, everything that came within the compass of his people's lives, and many things that concerned the Spirits. Many times, his lodge was seen to sway with the Ghost Wind, and the voices of those long gone on to the Sand Hills spoke to him. 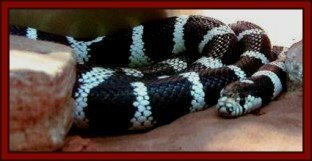 Mo'ki-ya came to where the Snake lay in the chief's lodge, and sending all the others away, asked the Snake what his trouble was. Mo'ki-ya sat quietly thinking for a while. Then he said, "I shall go on ajourney, brother. Perhaps my magic can help, perhaps not. We shall see when I return." And he gathered his medicine bundles and disappeared. It was a long and fearsome journey that Mo'ki-ya made. He went to the shores of a great lake. He climbed a high mountain, and he took the matter to Nato'se, the Sun himself. And Nato'se listened, for this man stood high in the regard of the spirits,and his medicine was good. He did not ask, and never had asked, for anything for himself, and to transform the Snake into a brave of the tribe was not a difficult task for the High Gods. "Return to your own lodge Mo'ki-ya,and build a fire of small sticks. Put many handfuls of sweet-grass on the fire, and when the smoke rises thickly, lay the body of the Snake in the middle of it." And Mo'ki-ya came back to his own land. The fire was built in the centre of the Medicine lodge, as the Sun had directed, and when the sweet grass smouldered among the embers, sending the smoke rolling in great billows through the tepee, Mo'ki-ya gently lifted the Snake, now very nearly dead, and placed him in the fire so that he was hidden by the smoke. The Medicine-drum whispered softly in the dusk of the lodge: the chant of the old men grew a little louder, and then the smoke obscuring the fire parted like a curtain, and a young man stepped out. Great were the rejoicings in the camp that night. The Snake, now a handsome young brave, was welcomed into the tribe with the ceremonies befitting the reception of one shown to be high in the favour of the spirits. The chief gladly gave him his daughter, happy to have a son law of such distinction. Many brave sons and beautiful daughters blessed the lodge of the Snake and at last, so the Old ones say, his family became a new tribe-the Pe-sik-na-ta-pe, or Snake Indians. Snake is the symbol for change. He sheds the old skin, rids himself of all that is useless and is born once again. He teaches us to use chang to transmute a situation that is stuck. Are you ready to leave a job, clean out the house, or transform a relationship? Or do you need snake's fiery energy of transmutation to help you move past an old belief? Look around your life and get rid of everything that no longer serves you. The water-fowls were flying over the marshy lakes. It was now the hunting season. Indian men, with bows and arrows, were wading waist deep amid the wild rice. Near by, within their wigwams, the wives were roasting wild duck and making down pillows. In the largest teepee sat a young mother wrapping red porcupine quills about the long fringes of a buckskin cushion. Beside her lay a black-eyed baby boy cooing and laughing. Reaching and kicking upward with his tiny hands and feet, he played with the dangling strings of his heavy-beaded bonnet hanging empty on a tent pole above him. At length the mother laid aside her red quills and white sinew-threads. The babe fell fast asleep. Leaning on one hand and softly whispering a little lullaby, she threw a light cover over her baby. It was almost time for the return of her husband. 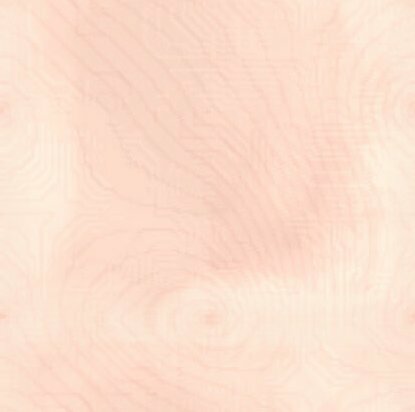 Remembering there were no willow sticks for the fire, she quickly girdled her blanket tight about her waist, and with a short-handled ax slipped through her belt, she hurried away toward the wooded ravine. She was strong and swung an ax as skillfully as any man. Her loose buckskin dress was made for such freedom. Soon carrying easily a bundle of long willows on her back, with a loop of rope over both her shoulders, she came striding homeward. Near the entrance way she stooped low, at once shifting the bundle to the right and with both hands lifting the noose from over her head. Having thus dropped the wood to the ground, she disappeared into her teepee. In a moment she came running out again, crying, "My son! My little son is gone!" Her keen eyes swept east and west and all around her. There was nowhere any sign of the child. Running with clinched fists to the nearest teepees, she called: "Has any one seen my baby? He is gone! My little son is gone!" "Hinnu! Hinnu!" exclaimed the women, rising to their feet and rushing out of their wigwams. "We have not seen your child! What has happened?" queried the women. With great tears in her eyes the mother told her story. "We will search with you," they said to her as she started off. They met the returning husbands, who turned about and joined in the hunt for the missing child. Along the shore of the lakes, among the high-grown reeds, they looked in vain. He was nowhere to be found. After many days and nights the search was given up. It was sad, indeed, to hear the mother wailing aloud for her little son. It was growing late in the autumn. The birds were flying high toward the south. The teepees around the lakes were gone, save one lonely dwelling. Till the winter snow covered the ground and ice covered the lakes, the wailing woman's voice was heard from that solitary wigwam. From some far distance was also the sound of the father's voice singing a sad song. Thus ten summers and as many winters have come and gone since the strange disappearance of the little child. Every autumn with the hunters came the unhappy parents of the lost baby to search again for him. Toward the latter part of the tenth season when, one by one, the teepees were folded and the families went away from the lake region, the mother walked again along the lake shore weeping. One evening, across the lake from where the crying woman stood, a pair of bright black eyes peered at her through the tall reeds and wild rice. A little wild boy stopped his play among the tall grasses. His long, loose hair hanging down his brown back and shoulders was carelessly tossed from his round face. He wore a loin cloth of woven sweet grass. Crouching low to the marshy ground, he listened to the wailing voice. As the voice grew hoarse and only sobs shook the slender figure of the woman, the eyes of the wild boy grew dim and wet. At length, when the moaning ceased, he sprang to his feet and ran like a nymph with swift outstretched toes. He rushed into a small hut of reeds and grasses. "Mother! Mother! Tell me what voice it was I heard which pleased my ears, but made my eyes grow wet!" said he, breathless. "Han, my son," grunted a big, ugly toad. "It was the voice of a weeping woman you heard. My son, do not say you like it. Do not tell me it brought tears to your eyes. You have never heard me weep. I can please your ear and break your heart. Listen!" replied the great old toad. "Hin-hin, doe-skin! Hin-hin, Ermine, Ermine! Hin-hin, red blanket, with white border!" "My son, did my voice bring tears to your eyes? Did my words bring gladness to your ears? Do you not like my wailing better?" "No, no!" pouted the boy with some impatience. "I want to hear the woman's voice! Tell me, mother, why the human voice stirs all my feelings!" The toad mother said within her breast, "The human child has heard and seen his real mother. I cannot keep him longer, I fear. Oh, no, I cannot give away the pretty creature I have taught to call me 'mother' all these many winters." "Mother," went on the child voice, "tell me one thing. Tell me why my little brothers and sisters are all unlike me." The big, ugly toad, looking at her pudgy children, said: "The eldest is always best." This reply quieted the boy for a while. Very closely watched the old toad mother her stolen human son. When by chance he started off alone, she shoved out one of her own children after him, saying: "Do not come back without your big brother." Thus the wild boy with the long, loose hair sits every day on a marshy island hid among the tall reeds. But he is not alone. Always at his feet hops a little toad brother. One day an Indian hunter, wading in the deep waters, spied the boy. He had heard of the baby stolen long ago. "This is he!" murmured the hunter to himself as he ran to his wigwam. "I saw among the tall reeds a black-haired boy at play!" shouted he to the people. At once the unhappy father and mother cried out, "'Tis he, our boy!" Quickly he led them to the lake. Peeping through the wild rice, he pointed with unsteady finger toward the boy playing all unawares. "Tis he! 'tis he!" cried the mother, for she knew him. In silence the hunter stood aside, while the happy father and mother caressed their baby boy grown tall. Long ago, before the Earth was here, all was water. Many creatures lived in the water, swimming about. Far above the clouds, there was, however, a land where lived a powerful chief. His wife was going to have a baby. In that Sky land was a great tree with four large roots, stretching out to each of the four sacred directions, and bearing many kinds of fruits and flowers. One night the chief's wife dreamed that the great tree had been uprooted. The chief perceived that this was a dream of great power, and thus must be fulfilled. With great effort, the tree was uprooted, leaving a large hole in the sky. The chief's wife leaned to look through the hole, but lost her balance and fell. Grasping at the tree as she fell, she only managed to hold onto a handful of seeds. The water creatures below saw her falling. They realized that she was not a water creature and tried desperately to think of a way to help her. "I have heard," said one, "that there is earth far below the waters. Perhaps we should try to get some for her to stand upon." One by one the animals tried to dive down far enough to retrieve land, but one by one they failed. Finally brave little muskrat tried one last time. Deeper and deeper she dove until her little lungs almost burst. Suddenly she found a bit of land. Scooping it up, she frantically swam to the surface. But alas, where to put the land? Turtle said, "Put it on my back. I will hold up the Land and the Sky Woman." And so they did. Sky woman landed safely on Turtle's back and was very thankful. She cast the seeds about. The Land became ever so beautiful. Some people call that land " America ." 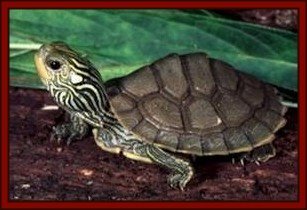 Others call it, in honor of the brave and faithful Turtle, " Turtle Island ." 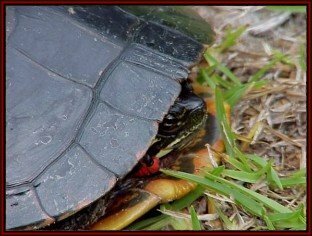 The turtle is close to the earth, slow moving and methodical. She reminds us that we must remain grounded and balanced in order to be healthy. As we pull our energy back into our body, away from a chaotic mind and turbulent emotions, we become clear, calm, and peaceful. Get out and walk on the earth, take it easy and remember that sometimes, "slow and steady wins the race."